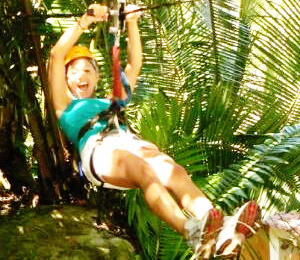 Hold onto your handlebar grips as you zoom into the verdant forest that surrounds the vacation paradise of Puerto Vallarta. Leave behind the commercial resort areas of Puerto Vallarta to witness the true culture of Mexico. This ATV excursion includes thrilling rides through a verdant jungle environment as well as visits to the quaint and welcoming villages off the beaten trail. 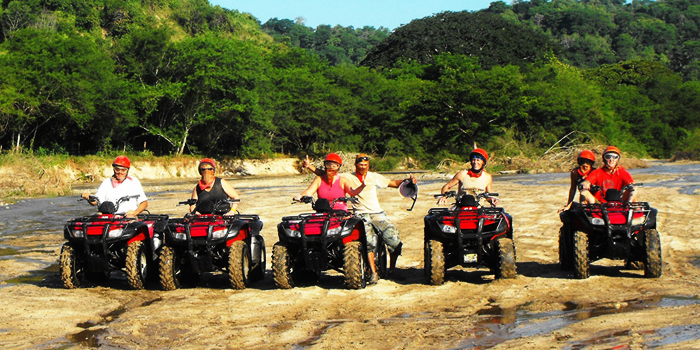 All of our off-road expeditions are guided by a knowledgeable member of our bilingual crew. 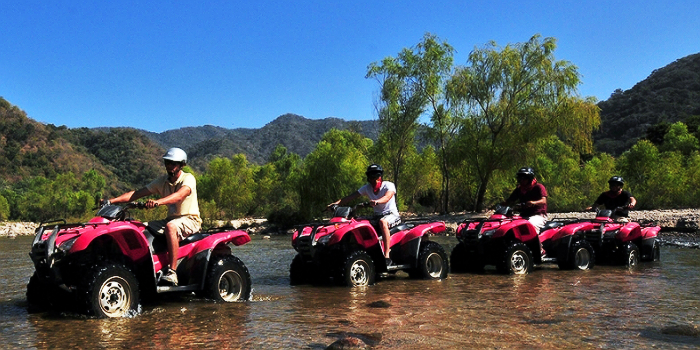 We start this fun-filled excursion with trail ride into the vibrant foothills of the Sierra Madre Mountains. As you navigate through the acres of verdant vegetation, you will see remote Mexican hamlets where you have the chance to witness the authentic lives of rural Mexican people. You will pass by local ranches, where cowboys care for their livestock. You will then reach an elevated lookout, where you will enjoy a panoramic vista of miles of emerald green hills and valleys. Make sure that you bring along your camera to capture this captivating beauty. You will ride along a forest river, Rio Cuale, to the tequila distillery, where you will not only observe the process of creating this fine Mexican liquor, but you will have the chance to sample tequila. 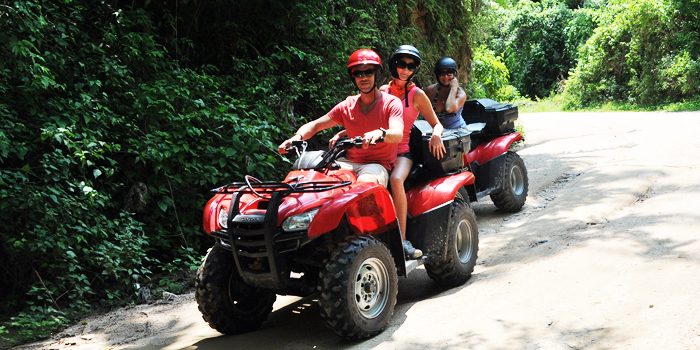 After your tequila tour, you’ll drive your ATV to the Jungle Cantina where you can enjoy a local beer or soft drink. The Jungle cantina is close to many natural swimming pools, a splendid waterfall, and even a fifteen-foot cliff that overlooks a deep pool. If you are feeling daring, you can leap from this cliff to enjoy a refreshing plunge. I have been to the Bahamas many times, but Rio Cuale ATV & Canopy Combo is one of my favorite trips! It includes everything that everyone should do here. As a Bahamas veteran, I can say only the best about this experience!